Pearland Pets provides assistance to the Pearland Animal Control and Adoption Center in Pearland, Texas. The Wags to Riches Gala & Casino Night is their big annual fundraiser – and it is definitely a night of fun! Funds from this event will be used to purchase a large trailer that can haul animals to adoption events where they can find wonderful, loving homes. The trailer can also be used to evacuate pets out of the area, which is important since Pearland is on the Gulf Coast and is threatened by hurricanes. 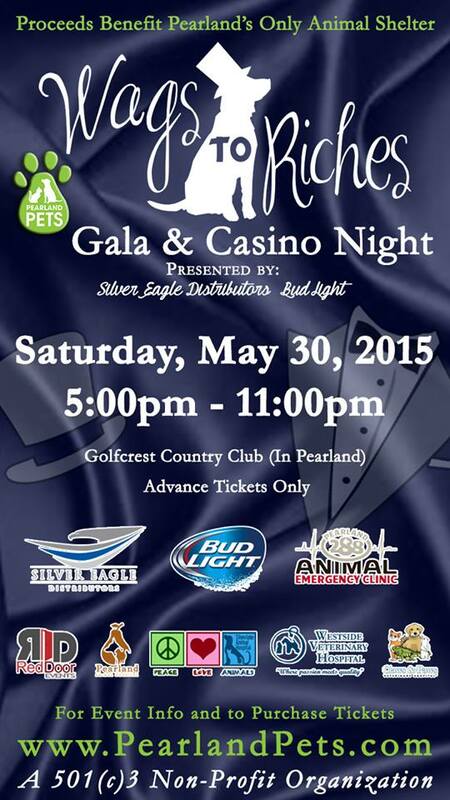 Tickets and sponsorship opportunities are still available – check out the website to help the pets of Pearland!